How shall the world view the apology by President Obama for the massacre of 16 Afghan villagers allegedly by a lone U.S. serviceman in Kandahar Province when the President is himself personally responsible for the extra-judicial killing of hundreds of civilians by means of drone aircraft strikes whose crime he defends? Army Staff Sgt., Robert Bales, of Lake Tapps, Wash., is being held in prison in Fort Leavenworth, Kan. Mr. Obama is free to travel the campaign trail. “We’re heart-broken over the loss of innocent life,” the president said of the Kandahar massacre. His seeming expression of contrition rings hollow, though, particularly if one considers how Mr. Obama goes about his daily routine ordering drone strikes and seemingly is unaffected by the “loss of innocent lives” they cause, as well as by the hated companion night raids on Afghan homes, also the result of his policy. Obama is more than willing to investigate anyone other than himself for war crimes. “I can assure the American people and the Afghan people that we will follow the facts wherever they lead us, and we will make sure that anybody who was involved is held fully accountable with the full force of the law.” To “follow the facts” the president need look no further than his own mirror. 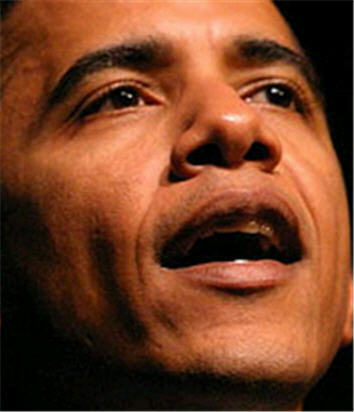 Not surprisingly, he termed the drone strikes "very precise, precision strikes against al-Qaeda and their affiliates." Given the facts, this is a falsehood. Since 2004, the U.S. has made nearly 300 drone attacks just in N.W. Pakistan alone, killing between 1,700 and 2,800 individuals, of whom an estimated 17 percent were said to be civilians, not so-called “militants,” according to the New America Foundation of Washington, D.C. In Somalia, last October 14th alone, U.S. drones killed 78 and injured 64 in one raid and killed 11 civilians and wounded 34 more the same day in another. And from March 3-12, the U.S. killed 64 people in Yemen by drone strikes. The government called them “militants” but local residents countered they were civilians. Meanwhile, the Pentagon reportedly is building 60 drone bases across the world and its clamor for more planes is so great that contractors cannot keep up with demand. Rather than halt the use of these indiscriminate killing machines, indications are the Pentagon sees them as the future weapon of choice, and by some accounts they have now been used in six countries. Mr. Obama has continued and expanded the criminal drone policies begun by his predecessor George W. Bush and both warmongers are eminently qualified to stand trial for their crimes. "Obama is more than willing to investigate anyone other than himself for war crimes." Except his predecessor/role model Dubya.